It’s spring, but head coach Neal Brown is already seeing tons of positives out of his new team. After just four practices he is calling his shot. After Saturday’s practice Brown was a little down on the team when he said they need to learn how to properly practice as much as anything. What changed? After viewing some of the tape he realized things weren’t as bad as he initially thought. “I think part of it is, as coaches, we probably got a little ahead of ourselves on the install and probably put too much from a schematic phase in on Saturday, which caused our guys to play a little slow, and it got a little sloppy,” Brown said. What did Brown like about practice? For one, the Stills brothers. Darius and Dante looked great. 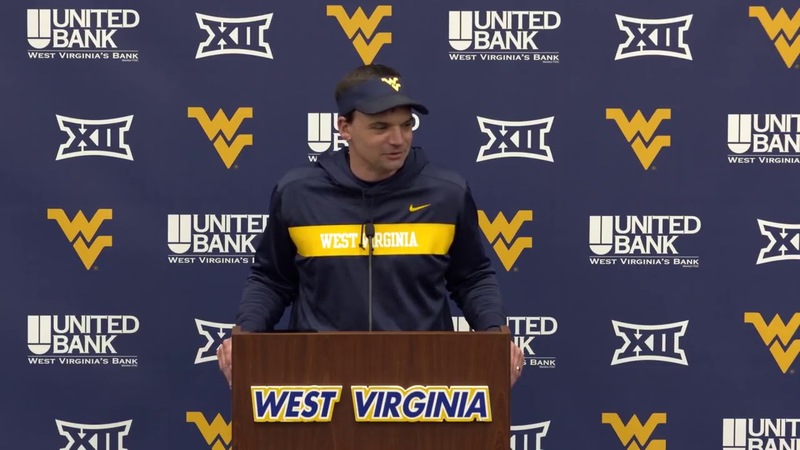 This spring West Virginia has 14 scheduled practices, which is one below the limit of 15. Last year and in previous years they used this extra date to prepare for the summer workouts where coaches are unable to be involved. It has not yet been made clear how the extra date will be used this year. Assistant coach Travis Trickett was missing from the action. He is back in Atlanta waiting for the birth of his third child. “He’s waiting on baby No. 3. That’s more important than spring ball No. 4,” Coach Brown said. West Virginia is still looking for a holder. Because of a knee injury in the past Austin Kendall has not been asked to do it. When given the chance Jack Allison has done a nice job holding. He did it in high school. Plus Brown believes there is an added bonus to having a quarterback as the holder. “It helps you in the fake. It slows down the rush some if you have a quarterback holding,” Brown said. The first scrimmage of the screen will be on Thursday. Also a happy birthday to the “HC at home.” Coach Neal Brown’s wife Brooke had a birthday on Wednesday. Happy Birthday to the HC at home – my wife Brooke. Love you!